Something exciting is happening in village halls and community centres across the UK. With the ever increasing demand on people wanting to know where their food comes from, a chance to even meet the producer, as well as reduce food miles and carbon emissions. Village food markets are an obvious move to meet demand by discerning consumers. 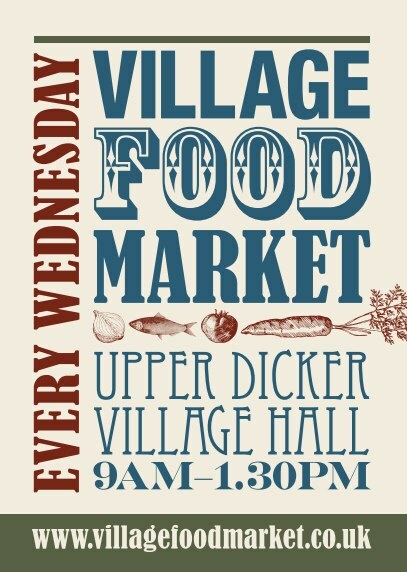 If you live in East Sussex, experience a new weekly event at the village of Upper Dicker. 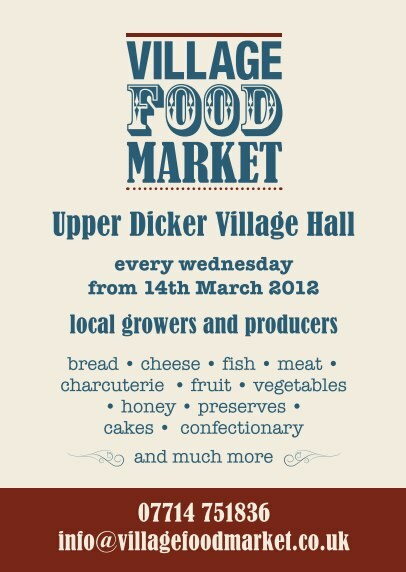 The grand opening is on the 14th March. There will be no cider for sale at the market, but then Middle Farm is only down the road. Make a morning of it. See you there! Click on the poster images below to visit the market website.